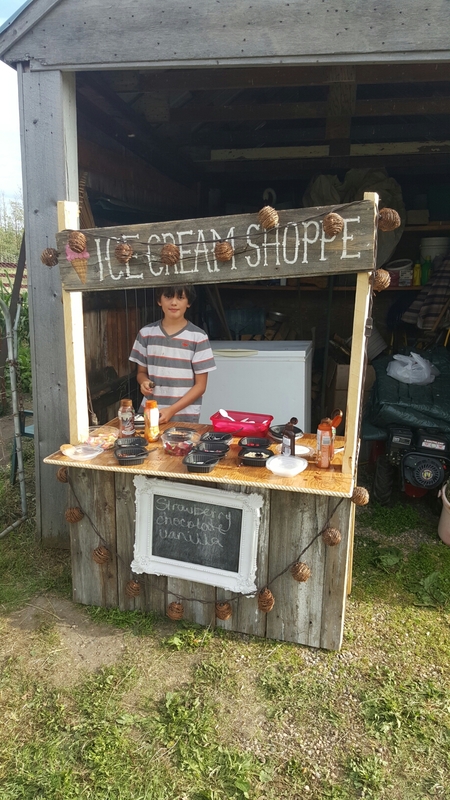 Last summer when my inlaws got married they asked me to build them a mini ice-cream shoppe for the kiddos. 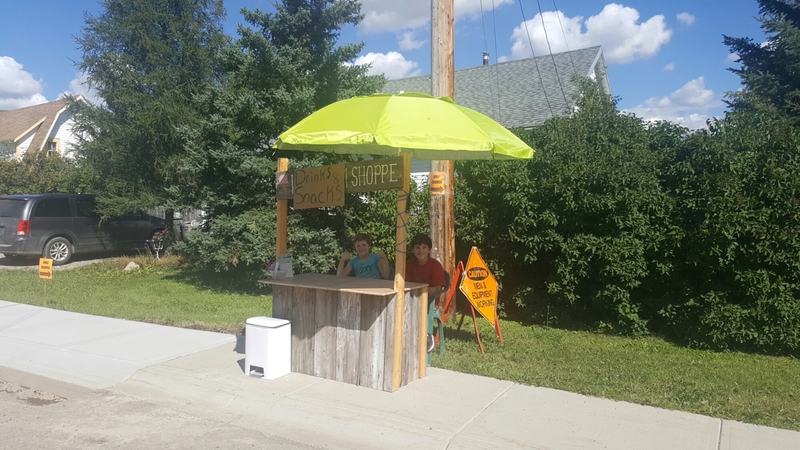 Since then, the kids have used it as a mini-garage sale shop for selling used teddy bears and pokemon cards, to sell garden produce, and as a lemonade stand. 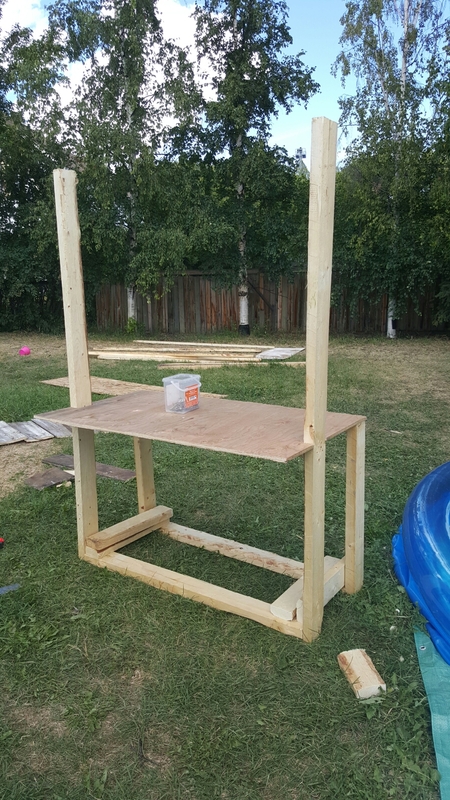 It is also super handy for backyard birthday parties and can even be rented out to neighbors for weddings and birthdays too!